DO YOU KNOW…the funds received from the purchase of Bricks and Pavers are earmarked for engraving costs for the approved names added to the Veterans’ Memorial Monument. DO YOU KNOW…METER Readings: WTWSD reads your meter through a radio control signal. Your meter is inside your home, connected by wires to a unit on the OUTSIDE of your home, which then sends a signal to our reader as it drives by. DO YOU KNOW…That Warrington is a township? It is not a city, borough or town. 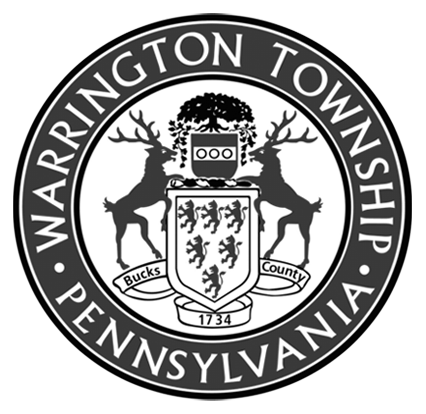 Warrington is one of 1,454 second class townships in the Commonwealth. DO YOU KNOW…in 1956 President Eisenhower signed into law the Federal Aid Highway Act, a law that created a network road system across America? DO YOU KNOW…the Township Supervisors leased the historic school house at the corner of Folly and County Line Roads to the Warrington Historic Society? Do You Know Real Estate property owners receive two tax bills a year? Do You Know that new neighbors will soon be moving in? Do You Know a Girl Scout working towards her Gold Award is documenting the 350 year old tree that stands in front of the township owned historic structure at the corner of County Line and Folly Roads? Do You Know how easy it is to get involved with other individuals like yourself who have great ideas and a desire for improvements to our neighborhoods and community? Do You Know What a Township Supervisor Does?